Sorry for my lack of blogging, I have been really busy with dissertation and a presentation. I probably won't have a regular blogging pattern for about a month until dissertation is over, but I will try my best to publish a couple of posts. I bought an EOS lip balm a while ago, after lusting after them for ages and am love with it. After seeing the raving reviews about them and the pictures on my Instagram feed, I decided I had to get one. The packaging is quite simple yes, but I think it is really cute and love the round shape. The colours are based on the flavour of the EOS lip balms. I had the choice between Strawberry Sorbet (pink), Summer Fruit (red), Blueberry and Acai (blue), Sweet Mint (Turquoise) and Honeysuckle Honeydew (Green). I bought Honeysuckle Honeydew as my housemate has it and it smells amazing!! The only downside to buying it in the UK is that they are more expensive, in the US they cost around $3. I bought my EOS lip balm in Topshop and paid £7, with student discount it takes it down to £6.30. EOS lip balms are awesome and are worth paying £7, I just wish they were a little bit more cheaper as I would want to buy one in each flavour if I could afford it. The lip balms are really hydrating and have been helping my lips in the really stressful time. 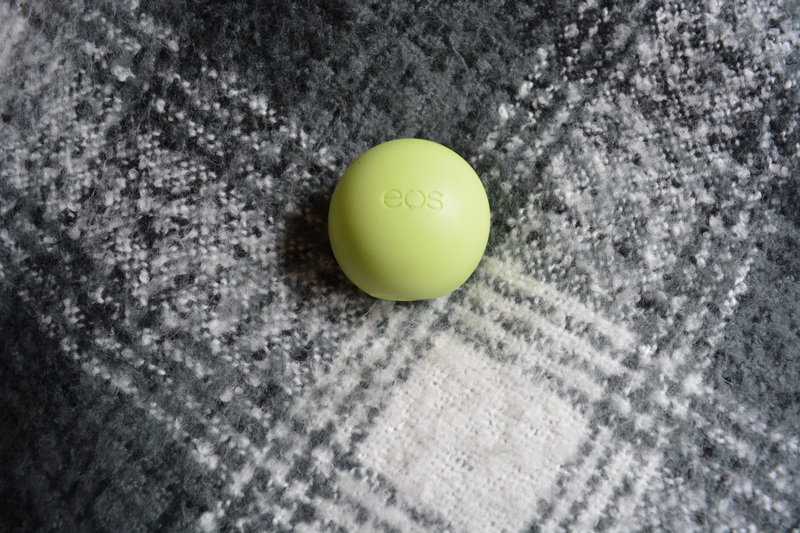 Recently, my lips have been quite dry and nothing that I seemed to do helped them, that was until I bought my EOS lip balm. It gives such amazing moisture to my lips and is really refreshing, I love sliding it straight onto my lips and how they feels. If you want smooth, soft and pretty lips then this is your product. 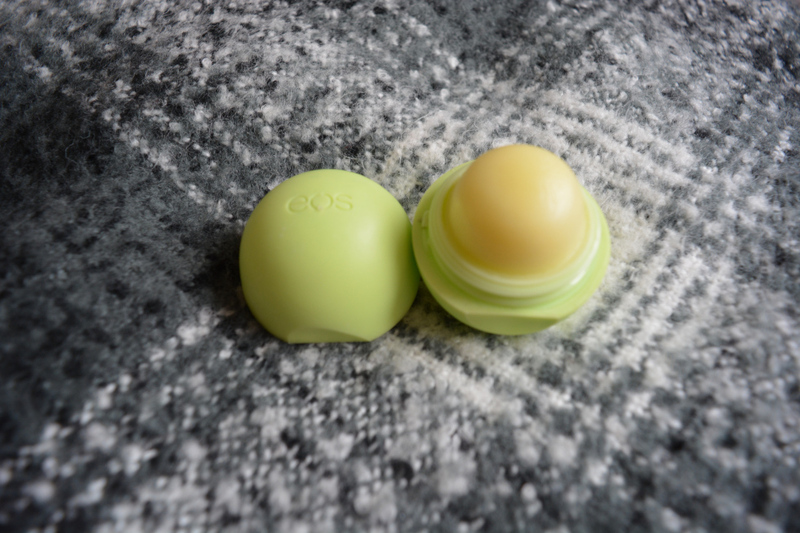 When I finally go to America, I am going to stock up on the EOS lip balms and buy at least 5. I think when I finally get to go to the US, I will have to have saved for months to pay for all I am going to buy.